Dr.A.Ravindra Babu is a leading senior physician, more dedicated for the development of Homoeopathic system of Medicine. He presented case studies in journals with evidence based documents. Here he presents a case of Warts. He can be contacted at Nalini Homoeo Clinic, Main Road, BOATH, Dist.Adilabad. Mobile: 9440549208. 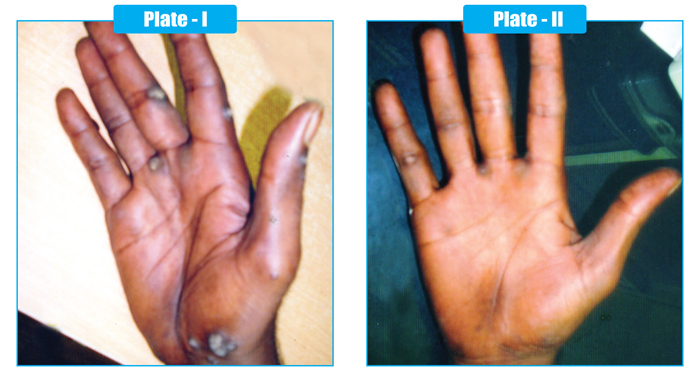 A male aged 45 years presented with warts on palms since 4 years. He had additionally headache with, frequent affections of cold and cough. Headache > after nasal discharge. 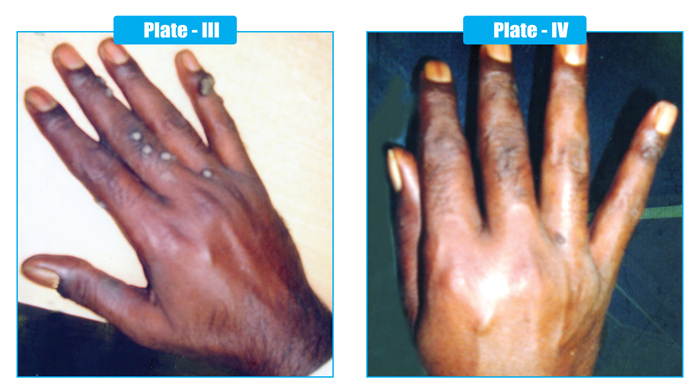 The warts are found in dorsum of the right hand and also the palm. They are ash coloured, rough, multiple and with zig zag margins. Painful some times. Desire - Salty and hot food. Warts, headache and nasal discharge completely cured. The patient was prescribed Natrum Muur simply based on the key note symptom of the remedy. In Allen's Key Notes he describes the characteristic of the Key note as warts on palms of hands. More over the headache and cold tendency also aborted by the dynamic action of the drug.